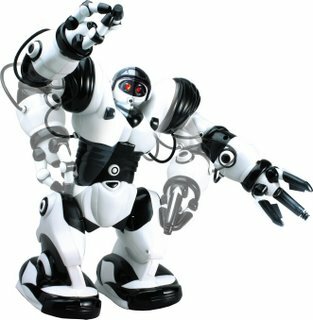 Software to control WowWee robots, Go-Robo! is available now for testing. The windows software allows you to write programs for RoboSapiens,Robopets, Roboreptiles and Roboraptor and send the commands to them through infrared. Young robot masters can put together a program by building up steps using a graphical design mode. 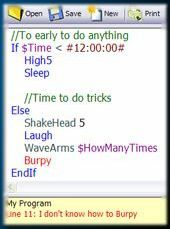 More experienced programmers can use the GRIDscript (Go-Robo ID Script) language. The full commercial release is expected in a few months but experimenters can request an early copy now. Check out the limited time HUGE DISCOUNTS on Roboreptile and RoboPet one the WowWee page at ROBOTERIA.